This reminiscence is rather local thus my apology to my international readers. But you can always connect this story to your own experience. Anybody can recall this jingle? "Kiki, rasa buah-buahan baru, kunyah dan tiup oh seronoknya, kiki bubble gum". It's in my mind since I was about 5 years old, I think. The kiki cartoon character with red overall and yellow t-shirt floating in the sky after he made a balloon out of his Kiki chewing gum. That was awesome! 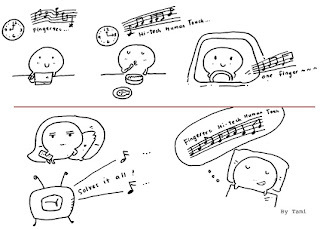 The word "kunyah" (chew) was very vivid in my memory because it's pronounced "kuniyah" by a Chinese singer. What about recent Perkeso very jubilant song about how you should get protected in the workplace? I couldn't recall the exact tune but I remember that I rolled on the floor laughing to the lyrics. How clever, NOT! But it reminded me of Perkeso and I check my payroll slip monthly to make sure I am protected. There was another one that never leaves me. "Amanah Saham Nasional sedia menjaga pelaburan, setiap ketika... melaburlah segera...segera labur segera! ", anybody remember this one? I love this jingle. It's almost like a pop song. We danced to it, we sang it in the bathroom, we even hope that Amanah Saham Nasional would do one more round of this jingle for its A&P. The thing about jingle, if you got it right, it sticks in your mind like nobody's business. And, it's good for business! Literally! This reminiscence does not come randomly. FingerTec is on its way to having our own jingle! By November, this (jingle) will be our in our iPod, in our jukebox, in our list of the most favorite song of all times. I have my confidence in the team that's producing the track. We will not stop at that, this song/jingle would be localized to other languages as well. So, watch out world! We are going to hypnotize you to get more stock of FingerTec. The outside world is changing rapidly, yet I remain fixated in my office accessing the world from my laptop. Who would have thought that it is possible to do international business sitting down? When people heard about my job, the usual respond would be, you must be busy traveling the world. While the comment might not be totally untrue, I handle international deals mostly from the comfort of my own room, and most of my clients have never seen me face-to-face. I was indeed approached by a few local companies with stories about their success in handling overseas markets and that they have the good “cable” size which could connect us to the right “power”. 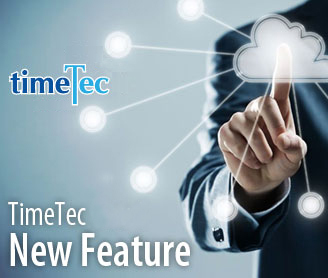 We don’t deny their success but at the end of the day, FingerTec is much more comfortable dealing with local people who have Internet connection and know how to connect to their local buyers effectively. Once my boss entered the sales department and made a good observation, “You are the leader of the United Nation,” he said. I couldn’t agree more looking at the team of sales personnel we have. To connect to the world, the importance of language can’t be overlooked. English could have done half of the job I supposed but how about Vietnam, Thailand, Mexico, Brazil, Russian, Iraq, Iran to say the least? I said hello, and they say hola and started speaking Spanish. I ended up Googling what they said and they laughed at my reply, which obviously I cut and pasted from the Google free translation service. I took no offense because I shouldn’t be talking gibberish to the potential customers. There’s when Regielou would come to the rescue and hola them back. Customers from the Middle East are not as hard but once in while I would receive an email, which I couldn’t figure out the meaning. They thought they had written in English like I thought I had spoken in Spanish. Months ago I would stare at the email trying to make sense of it but now we have Benacer who would reply in Arabic, writing from right to left to find out what they want. Do I understand what Ben wrote? Couldn’t understand a word but for as long as he’s bringing sales and the customer is happy, I know that he’s doing a good job. Because if not, we would definitely get an email with a subject COMPLAINT, regardless of the language they use in the emails. We are planning to hire a couple more different language experts to complete our mini UN office. I learn from my years of “sitting down” with customers that their priority are fast services and having choices. Who would have wanted to pay and wait for long to get the orders? And it’s human to prefer choices and FingerTec provides choices. I stress to my team to not deny clients choices. If the clients need the goods fast, do it for them but make sure the payment is in first. J How do you want to ship your goods? We have choices of ready packages, loose items, bubble wrapping, no boxes, fold the boxes and put them under the carton, etc. You want us to source for accessories for you; we try. You prefer to use your brother to pick up your goods; we have no problem. You want us to quote for the lowest shipping; we find that info for you. The only choice we aren’t providing at this moment is payment term. And we are sorry about that but we are not going against the company’s no. 1 policy. 5 years back, I have never thought that I would have a client in Sudan who orders a few times per month, demand their choices to be taken care of in a matter of hours, venting their anger when we disappoint them once in a while and at the same time we maintain a very respectful and fruitful relationship with each other through emails. Our distributor in South Africa was screaming with joy in the email when we told them that we have the goods they wish for; a lot of exclamation marks were used, I can tell you that. All that happened virtually but very real. 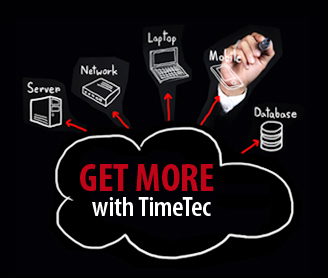 FingerTec will continue to serve our clients all over the world with all our humility we could offer. We believe that relationship is built based on trust and commitment. No matter that we have never met most of our clients, what matter is our clients taken care of FingerTec® brand name in places where we would never thought we could reach by ourselves. 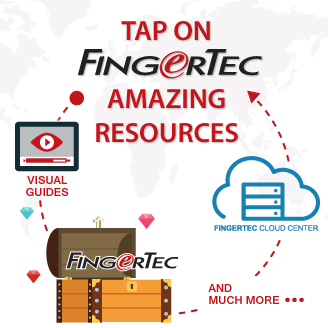 I had traveled to more than twenty countries within the past few years, mostly attending to FingerTec business. From one country to another, my brief stay minus the working hours, I had very little time to explore the country, the people, and their cultures further. Regardless, I still would like to share with you snippets of my vivid memories for the 10 chosen countries that I’d been to. 1. Buenos Aires, Argentina: The Argentines like puppies, very much. You can easily spot dog-lovers walking ten dogs or more in the park. But mind your steps for the dog s***. The Argentines are laidback, friendly people. Tango dance is a part of their life. From the brief stay, I felt the peaceful Argentina. Lucky me, I got the “once-in-a-lifetime chance” to witness once a century snowfall last July in Buenos Aires. A news broadcaster confirmed that the last reported snowfall was in 1918. 2. Sao Paulo and Rio de Janeiro, Brazil: Goods are expensive in Brazil, roughly twice the price tag of Argentina due to the high import duties. There is a huge taxometer stood before the City Hall transparently showing total tax collected by the government in every split second. Where did the money go? Don’t ask. Standard of living is skyrocketed here; hence life is a struggle for the average people. Easy payment or installment is a common commercial practice, even for a pair of shoes, a t-shirt, a holiday package and daily items. No surprise to learn that Sao Paulo and Rio de Janeiro have high crime rates, more of slums and homeless too. 3. California, United States: Unlike other countries, you will not find any toilet before the immigration clearance in many airports (perhaps all?) in the United States. Reminder I: Empty your bladder before arrival. Reminder II: Be patient, the immigration check was slow and thorough, equipped with iris-scan and fingerprint recognition devices. How I loathe biometrics verification at that moment. :-) It’s common knowledge that the stringent security was the outcome of 9/11 attack. Reminder III: Even if you’re just a transit passenger, you have to endure the same border control nightmare before boarding your next flight. So make sure you have a visa intact in your passport and, empty your bladder prior to your arrival. 4. Cairo and Luxor, Egypt: The ancient Egyptian civilization had died long before the sprout of Islamic civilization, so the two civilizations had never met, and never mixed, either. Cairo to me isn't at all a gentle city; it is an all-out assault on the senses. Chaotic, noisy, polluted, totally unpredictable and seething with people. 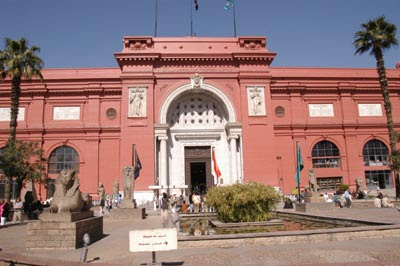 But I was shockingly happy in the Cairo Museum, not because it displays hundreds of thousands of millennia old antiques, but unexpectedly the visitors are allowed to be so close proximity with a large number of the scattered and unprotected treasures by touching or even molesting them, :-) and nobody really care to stop you. In Luxor, I like the dusk moment on the Nile; it looks extraordinarily tranquil and exquisitely beautiful. 5. 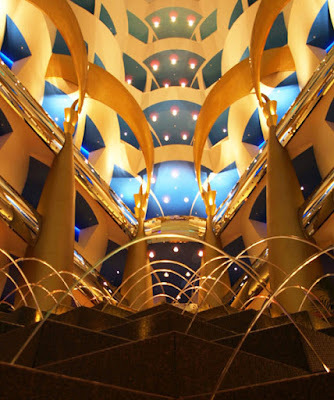 Dubai, UAE: Burj Al Arab, deemed the best hotel in the world? Don’t be fooled by the publicity. It looks beautiful from the outside, but unbearably vulgar from the inside, and relatively, small. Reminder I: Unless you’re the hotel guest, or else make a reservation for at least an afternoon tea to gain the access. In other words, no free entry. Reminder II: Once you’re in there, you probably regretted your visit, like me. In Dubai, I particularly admire the billboards along the roads, barking all the glamour and exaggerated slogans. The congestion in Dubai was worse than the notorious Bangkok’s traffic during peak hours. Most of expatriates live in Sharjah due to the lower rent and averagely spend 3 hours daily to commute to work in Dubai city. 6. Rome, Pompeii and Milan, Italy: A hint threads weaving the three different stages of civilization to enrich Italy culture. The first, the ancient philosophical and mighty Rome empires that happened two and a half thousand years ago. Secondly, the art and cultural Renaissance Rome in 15th Century Medieval; and the third, a strong sign of modern fashion and designing culture, proven by the ubiquitous graffiti in the cities. :-) My visit to Italy with my wife solely for leisure, apparently with different interest. My wife who worked in the fashion industry fixed her gaze on Gucci and Prada in Milan, and I set my eyes at the excavated historical city in Pompeii, for which the city is completely buried during a long catastrophic eruption of the volcano Mount Vesuvius on 24 August, AD79. 7. Amsterdam, Netherlands: A tourism city. The tram system can lead you to anywhere in the city. Very convenient. Three major sightseeing spots in Amsterdam: canals and bridges, canals and bridges, and canals and bridges, crisscrossed the whole city. Quite some Chinese restaurants with original taste. And the must-visit red-light district, a network of alleys containing several hundred tiny one-room apartments rented by female Prostitutes, who offer their services from behind a window or a glass door. Take a walk there, but not necessarily take a shot. Recommendation: If you’re an art lover, don’t miss the Van Gogh Museum. 8. Colombo, Sri Lanka: A safe place, according to the Sri Lankan in jokingly tone, because the city was well guarded by the army. Security checkpoints at every road access to the city, and the armed soldiers patrol casually on the busy street are everywhere to be seen. Their mission, of course to take care of your safety, :-) and to hunt the Tamil Tigers in the concrete jungle. Tamil Tigers, a militant Sri Lankan Tamil nationalist organization that has waged a violent secessionist campaign against the Sri Lankan government since the 1970s. One of their infamous strategies: suicide bombing. 9. Ho Chi Minh City, Vietnam: Very high ratio of young population. 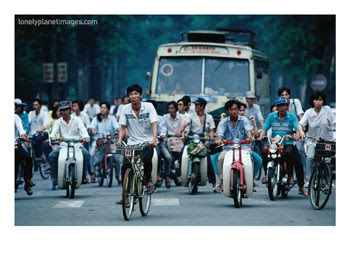 They roam enthusiastically with their motorcycles days and nights in the capital city that once called Saigon. The baby boom (1946-1964) for the world started after the World War II, but the baby boom in Vietnam (1975 – 1995) begun three decades later after the Vietnam War. Now, the youth, becoming the most valuable resources for their economy reform in the Information Era. Thinking to shift your production to Vietnam? Think again. The labor is cheap, but the land tells a different story. And the recent currency plunge increases the uncertainties. 10. 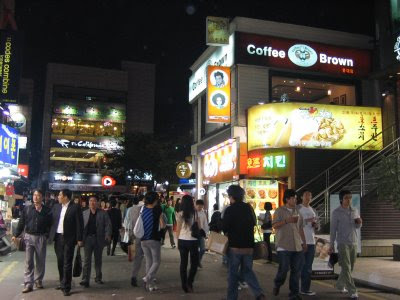 Seoul, Korea: Where are you around 11 to 12 at night? I was most probably in my pyjamas reading or surfing the net and getting ready for bed. But to most of the working class in Seoul, they’re still hopping from one pub to another, joined by their co-workers and clients in small groups. Once out from the pub, still in full office attire, a loosen tie and unkempt shirt, they’d sway drunkenly or sing out loud along the street. This common street scene is similar to Tokyo, both working class are workaholics and alcoholics. 11. Malaysia: This one is a bonus, because Malaysia is my country. 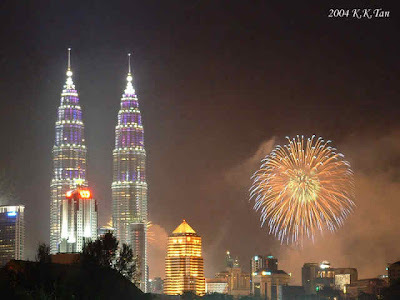 Malaysia is a multi racial (Malay, Chinese, Indian, and other minorities) and multi cultural country. 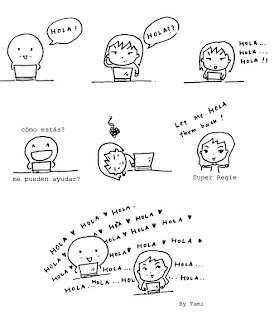 That’s the reason why FingerTec speaks many languages, and understand your needs better than anyone else in the world. The landmark building, Twin Towers, once was the tallest in the world. And the political arena is getting more interesting now. If you have anything to say or any agreement or disagreement towards my article or to point out my possibly mistakes, you’re welcome to comment. Note: Some photos are downloaded from the Internet to better suit to my writing.